South Dakota State University is hosting the Jerome J. Lohr College of Engineering Career Fair & Interview Day February 12th and 13th. 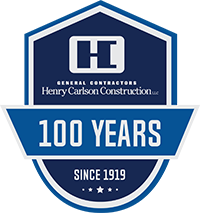 Henry Carlson Construction will be visiting with potential candidates about joining the Henry Carlson Construction team. For more information, visit: https://www.sdstate.edu/office-career-development/career-fairs-sdsu-students.